Our stylish uPVC Stable Doors provide a practical solution for families with small children and animals; creating a protective barrier, whilst providing light and fresh air into a property. Quaint, traditional stable doors in Lincoln, Nottinghamshire, Newark and surrounding areas. Our timeless uPVC stable doors are versatile, stylish and extremely secure. Our uPVC stable doors are a popular choice for homeowners with more traditional style properties. The stable door’s classic style complements period settings perfectly. However, its timeless elegance means it suits a broad range of properties. A classic and charming alternative to standard back doors, the uPVC stable door has both security and safety advantages making them ideal for family households. The doors have two independent opening sections that open separately as well as a whole. This allows you to effectively control the amount of ventilation in your home, keeping your children and pets safe. The top and bottom sections of our uPVC stable doors can be interlocked and used as a single door. 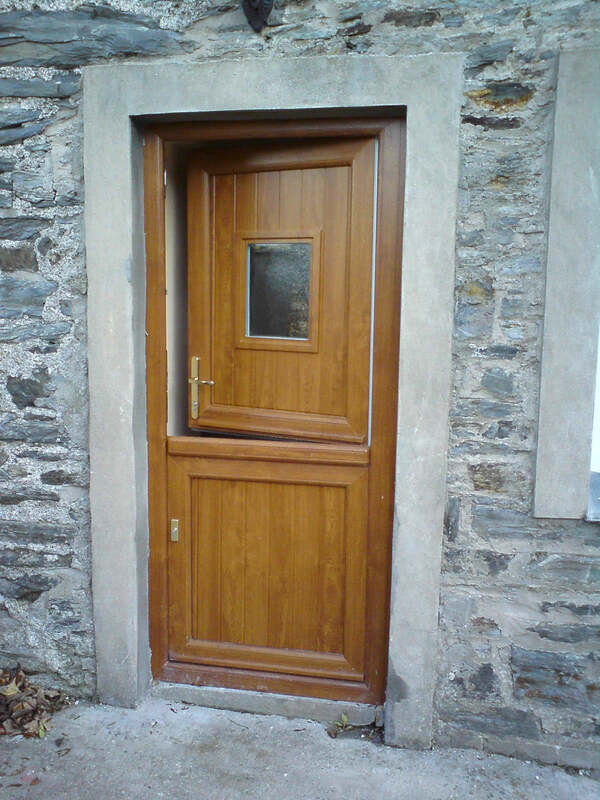 This door style is especially ideal for use as a side or back entrance. Our uPVC stable doors come with a high security locking arrangement as standard. Advanced multi-point locking systems and interlocking door bolts ensure the top and bottom door sashes are extremely secure. If you wish to further your door security, we offer extra hinge protection bolts which can be fitted to your door for enhanced protection. Our door locks feature anti-snap, anti-drill and anti-bump technology for superior security. All our security locks and products are in accordance with Secured By Design standards, a police preferred specification. 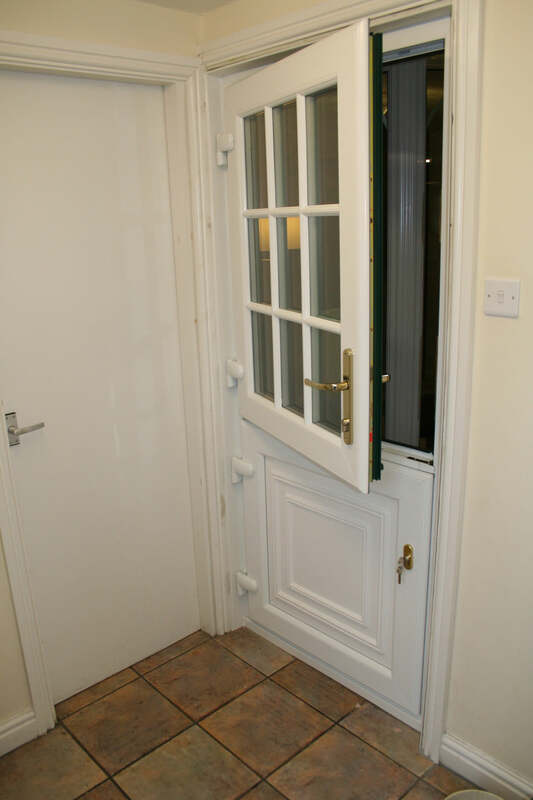 Get instant stable door prices using our online quoting engine. Our pricing engine will provide you with a unique door cost in a matter of minutes. You can also get in touch with us on 01522 512020 for helpful double glazing advice. If you would prefer to get in touch online, fill out our online contact form or drop us an email at sales@starglaze-windows.com. I just wanted to say a big thank you for the great service you gave us throughout from choosing the windows and then the fitting. Starglaze have installed new Windows throughout my cottage and a new entrance door. Efficient service with an equally efficient window system. The installations were done in one day by friendly staff - can't fault Starglaze in any way. Thank you, will definitely recommend Starglaze to my family and friends. They whole journey has been painless, starting with a non pressure sales visit and easy negotiations, then kept up to date on construction and when fitting would take place. Friendly and efficient fitters, took care to keep disruption to house to minimum, plenty of dust sheets used and excellent finish! Really pleased with windows and doors, house looks great. From start to finish, Starglaze dealt with my order in a very friendly yet professional manner. The sales team were knowledgeable and helpful with their advice (both in the showroom and during the home visit). The surveyor arrived at the arranged time/day and most importantly the fitting team did a great job installing the window - very neat and considerate. Top job! Many thanks. I would like to thank you for sorting out our doors. Declan who you sent to fit was very professional. I would not hesitate to recommend your product to anyone. Our front door was fitted by Mark yesterday and we are delighted with it. It has transformed the house both inside and out. Many thanks to everyone at Starglaze for an easy and enjoyable purchase. We had 24 vertical sliding Windows and casement Windows and two doors installed. We love them they are such good quality and have noticed a difference in warmth and noise from outside. No hard sales and the installation team worked quickly and cleanly. They were a great bunch. I will definitely use them again. Starglaze were half the price of two quotes I had from national companies. I had my windows and doors fitted eight years ago, last week I had a problem with my front door locking the service was amazing and effortless thank you again Starglaze and all under warranty. I have had Starglaze UPVC Windows and entrance door installed in my stone cottage. I cannot praise the quality and workmanship enough and would definitely recommend this company. The installation took just one day to complete. Their after service has been most efficient, no worries about contacting them for the smallest things. I have had many compliments from my family, friends and neighbours on the look of their products. Absolutely thrilled with the final results. New windows ( including two bays ) and front door , we could not be more pleased with the quality and service ! All completed with great professionalism , the team worked like a ' well -oiled machine ' , all floors and surfaces were covered , on leaving you would not have known they had been in the house ! Like all good British workers , serve them plenty of cups of tea and they do not stop !! We highly recommend . I recently bought my first house and the thing it was lacking was a porch and so I contacted Starglaze and they fitted me a porch, this now makes my house so special. Nothing was too much trouble and the efficiency was good. As far as I am concerned I don’t think you can improve on your service, over the past 4 years if I have had a small problem it has been quickly rectified. I am writing to thank you and your team at Starglaze for the successful completion of our barn to office conversion, the transformation is truly stunning. Your workforce was friendly and efficient and all concerned strived to meet both my specifications and building regulations… I would not hesitate to recommend Starglaze to others. You have, today, fitted replacement windows to my property and I am writing to express my pleasure at the way your company has carried out its obligations. I am delighted with your product and its fitment. The four gentlemen I came into contact with, Steve your salesman, Matthew your surveyor, and Ben and Eddie the fitters were all highly professional individuals and it was a pleasure dealing with them. Again, many, many thanks. Excellent service, keep up the good work. Superb fitters. Good service, helpful staff, excellent price, fitted to schedule. Everything as discussed. Very happy with the complete service from start to finish. We have had replacement doors and windows from Starglaze, their prices were very competitive with no hard sell. We even received a delivery of flowers upon completion. Well fitted with no problems. Plenty of choice and they had friendly installers. We had specially mad arched porch way doors that looked great. Would highly recommend to others. We had the bifolds fitted last Friday and we are really pleased with them, they look great. They aren't fully in use as our extension has no floor in it yet but they look fab. "The installation was very efficient and the workmen were professional and made sure that everything was fitted well. Am so pleased and the room is fantastic!! Very proud to have your conservatory – best in street!!" I am writing to let you know how pleased I am with my recently installed Windows. From your Sales Representative Jim Wynne to Eddie and Ben the Installers, I have received a first rate service at a very competitive price. The installers arrived on time, completed the job on time even in appalling weather conditions on the second afternoon, and were very helpful and obliging. Thank you Starglaze for an excellent job. The service I received from start to finish was brilliant. The installer, what a craftsman! He gave the job 110% plus. Starglaze are lucky to have him. I am thrilled with the French doors separating the kitchen from the conservatory. I admire them every day. Thank you. We would like to say thank you to all your staff who have been involved in the installation of our new windows and door. The sales staff at Tritton Road are courteous and explained everything about my choices and fitting. The installation staff for the standard of workmanship, tidiness and ability to accommodate our requests with no hassle. We chose Starglaze because we liked the quality of your manufactured items and the professionalism of all your staff. Thank you to you all. The fitters arrived promptly and worked extremely hard on both days. Reliable, professional standards which will be hard to beat. Exceptional teamwork. I had new Windows to the front of the house in the woodgrain effect. I am very happy with them, and I truly believe they have made our house the best looking house on the street! The fitters were polite, and helpful, and they worked quickly and efficiently. The person installing the door worked hard and cleaned up as he went on. Very good. We would like to say “Thank you” to all your staff who have been involved in the installation of our new windows and door. The sales staff at Tritton Road are courteous and “explained” everything about my choices and fitting. The installation staff for the standard of workmanship, tidiness and ability to accommodate our requests with no hassle. We chose Starglaze because we liked the quality of your manufactured items and the professionalism of all your staff. Thank you to you all. Subscribe to our newsletter to receive company updates!